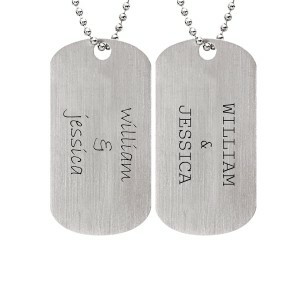 The smaller versions our dog tags are cool and petite, yet still offer plenty of real estate to customize as desired. 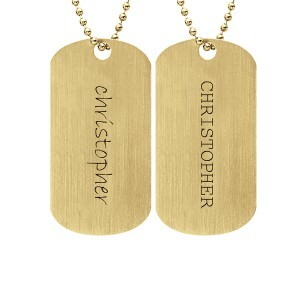 Don’t let the edgy look fool you - these little tags are sure to touch your heart. 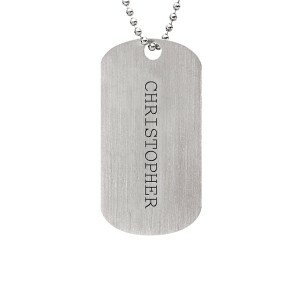 Personalize a necklace for your son, engraved with his name or special statement that means the world to him.